Visiting a new place won’t be complete without buying some souvenirs to give to family and friends back home. Sri Lanka has lots of great souvenir items to offer its tourists and they can be bought at various places. The best part is these authentic Sri Lankan products are very affordable. Colombo, the capital city, is where shoppers can find export-quality clothes at rock bottom prices. Situated along Galle Road in Colombo, Barefoot is a favorite of expats and tourists looking for hand-woven fabrics. The place offers off-the-roll material plus table cloths, napkins and placemats in bright and bold colors. What makes this shop unique is its rugged ambiance that features wooden fixtures, rich yellow spotlights and raw cement flooring. 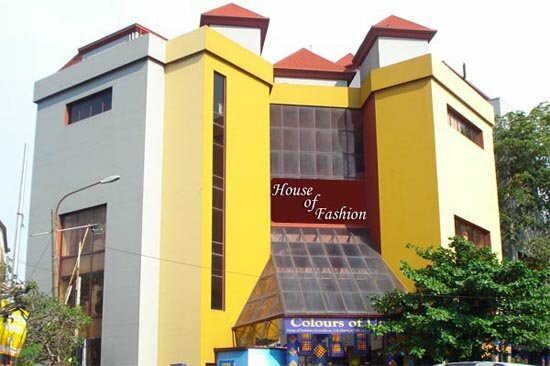 The House of Fashions is a shopper’s paradise as it has a comprehensive offering of clothing for men, women and kids. In addition to the well-known brands of clothes available, the place also has fashion accessories, perfume, jewelry, cosmetics, household items and varied types of gift items for all occasions. For customer convenience, each of the four floors of this mega store is dedicated to men, women an kids. The ground floor showcases women’s wear while the fourth floor is for men’s wear and accessories. Another floor is dedicated to kids. Spanning 250,000 square feet, the House of Fashions has 17 escalators and a car park that can accommodate 350 automobiles. Odel is one of Sri Lanka’s major department stores. It has two branches in Colombo but the one on Colombo 5 is the factory warehouse. The store’s exterior boasts of traditional colonial architectural design featuring tall arched entrances, while walls and wooden interiors. When it comes to clothing, Odel has a wide collection ranging from the basic t-shirts to designer wear including the exotic sarees. But other than clothes, the department store also sells perfume, jewelry, toys and books. Antique lovers will not be disappointed if they check out Hermitage. This shop sells valuable art for walls as well as antiques, collectibles and ornaments. Situated on Gower Street, the place used to be a house which was later transformed into a shop. Also sold here are rustic medicine cupboards, printing presses, cart tables, ancient animal driven carts, mediums of inscription carved into wood and beds from Indonesia and India. Stone N String is a popular jewelry store in Sri Lanka. It is well known for its unique kind of fashion jewelry featuring semi precious and precious gems, sterling silver, gold and pearl. It also has a collection of designer coral with white, pink and jade coral designs. Men can also find here their favorite accessories such as rings, cufflinks, tie pins and even leather belts.